Shoulder to Shoulder to Day | Phil – Refuelled! 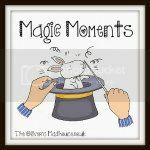 Today, I’m taking the liberty of using the Magic Moments blog hop, hosted here at The Oliver’s Madhouse, to shout out a call for others to help provide some encouragement, and maybe some ‘magic moments’, for another blogger. As many of you already know, Emma Day, who blogs with great intensity of feeling, over at Crazy With Twins, is fighting hard against thyroid cancer. And the next stage will be especially gruelling, because internal radiation therapy will mean that, for around 33 days, she will not be able to have contact with her baby girl twins. Imagine, if you can, the impact of this requirement on a mum for whom her family mean so much. ‘Agony’ doesn’t begin to cut it. Emma’s own blog post giving more details is here, and Vicky, over at Verily, Victoria Vocalises, has also written about it here. What Vicky and I would like to do is to put together a series of blog posts on successive days, to show our solidarity with Emma through this time of anguish, starting from the first day Emma will spend in Hospital. Such a post could be anything offering interest, humour, or inspiration… You name it. If you’d like to contribute a post, then, as they say in the competitions, here’s all you have to do: Leave your name and any comment in the reply box on Vicky’s post. She will then allocate dates to contributors. If the number of offers is higher than around thirty, then we can run extra posts on some – or all – of the days. You can, of course, prepare your post in advance, and hold it as a draft until your turn comes round, then just publish and link on the day. Oh, and an important note: Don’t worry about the technical stuff! Victoria will host the linky and organise the rota. The rest of us just need to link up as required! Thank you for reading. We’re looking forward to hearing from you. And we hope for a truly ‘magic’ outcome for Emma.